Fundraising Made Easy, Fun and Delicious! 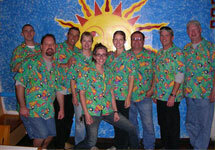 Our midwest flippers have over 70 years of combined experience serving your family, friends, and employees. We entertain at over 1,200 schools, churches, civic groups, corporations and other organizations EVERY YEAR throughout the KC Metro Area. We regularly serve groups of 50 to 3,000, each of our grills can serve 225 people per hour. We make fundraising simple, fun and delicious. All you need to do is give us a call! Click the images to the right get more details about a specific event or group!